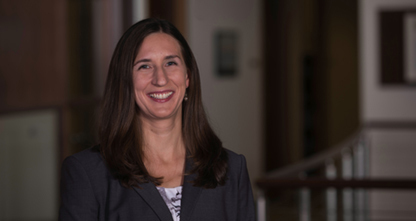 Jessica Zimberlin Eastman, Ph.D. currently assists clients in a wide range of technical fields including chemistry, nanotechnology, chemical engineering, and mechanical engineering, with a primary focus on polymer and material science ranging from monomer synthesis through product development. Her practice involves multiple applications in polymerization, glazings, additive manufacturing, personal care products, packaging, optics, wireless communication, fuel cells, and thermal management. Jessica has extensive experience in patent preparation and both foreign and domestic prosecution. She works closely with a variety of start-up companies, several of the leading companies in the plastics industry, major research universities, and for other clients with sophisticated technology and intellectual property portfolios. Prior to joining Cantor Colburn, Jessica worked as an engineer in several companies including Rogers Corporation, Unilever, Fraunhofer IPA, Tokyo Women’s Medical University, and the National Institute of Standards and Technology. Zimberlin, J.A., Weiger, M.C., Cicerone, M.T. Zimberlin, J.A., McManus, J., Crosby, A.J. Miquelard, G., Zimberlin, J.A., Sikora, CB., Crosby, A.J. Zimberlin, J.A., Wadsworth, P., Crosby, A.J. Zimberlin, J.A., Sanabria-DeLong, N., Tew, G.N., Crosby A.J. Lefaux C.J., Zimberlin J.A., Dobrynin A.V., Mather P.T. Participate in outreach programs to increase diversity in the Natural Sciences by inspiring K-12 students with extracurricular activities and hands-on demonstrations, 2004-Present. Full day leader in the Summer Program, “Young Women in Science,” whose aim is to increase the participation of women in science by providing increased scientific exposure to middle school females, 2007. Co-PI on university wide research successfully funded mentoring grant to fund initial year of a mentoring program for the Polymer Science and Engineering Department, 2006. Participated in the 2005 Association for Women in Science Conference aimed at promoting and maintaining the involvement of women in science.